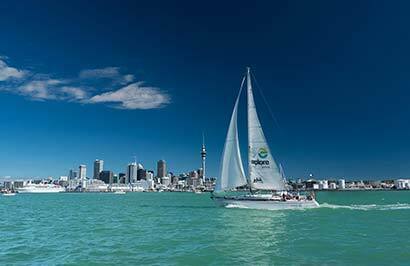 Located in the heart of the Auckland Waterfront district the Mercure Auckland overlooks the spectacular harbour and bustling city. 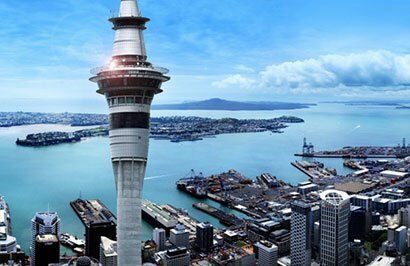 Within walking distance of downtown shopping and attractions it is the ideal hotel for your Auckland stay. 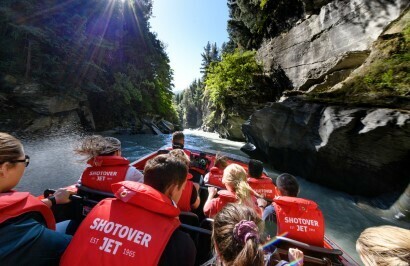 This full day tour has it all! 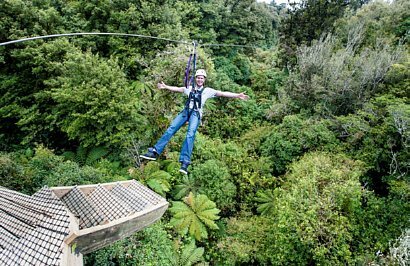 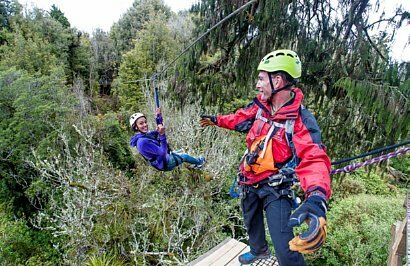 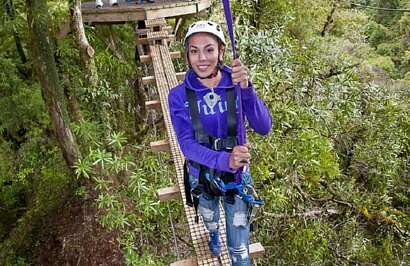 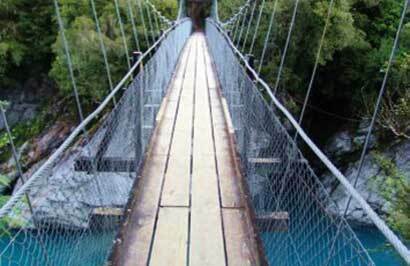 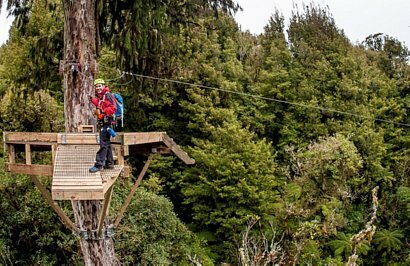 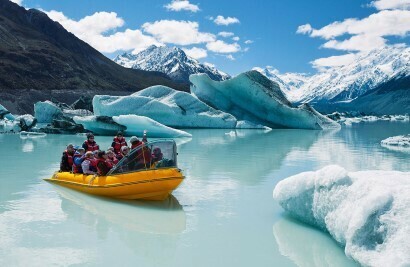 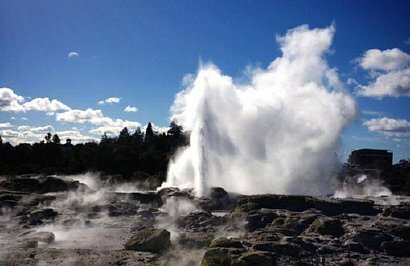 From the magical glowworms and world-famous limestone formations of Waitomo to the rich cultural heritage and geothermal bounty of Rotorua. 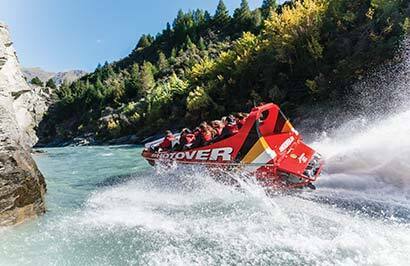 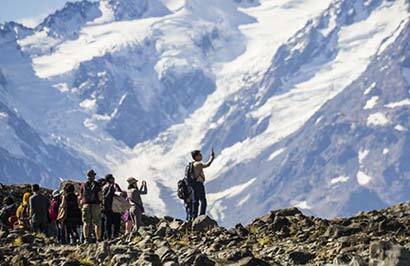 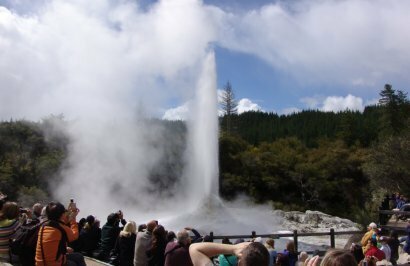 Includes a visit to the glowworm caves, a Māori cultural performance, a visit to the Agrodome and bubbling mud pools and geysers. 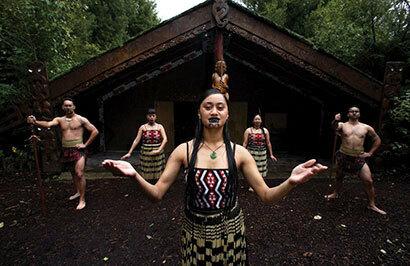 Journey back in time to a Pre-European lifestyle experience of customs and traditions. 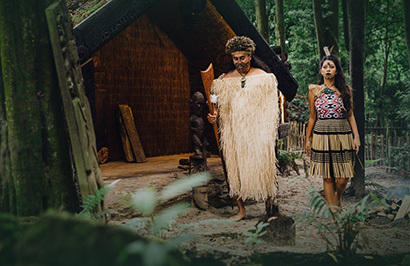 Enjoy the night's festivities with the people of Tamaki Maori Village as you are treated to a banquet of succulent foods cooked the traditional Maori way. 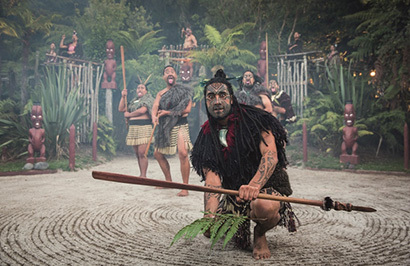 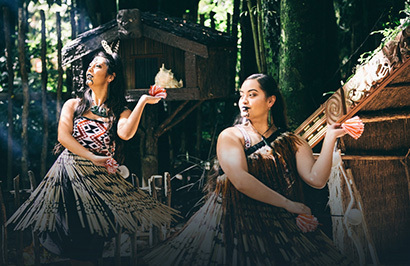 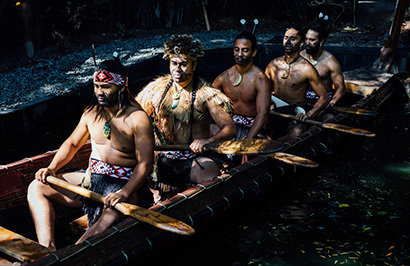 Rediscover the Maori village as it comes alive to the sound and activities of tribal songs, dances, myths and legends and browse throughout the largest after hour's tribal marketplace in Rotorua. 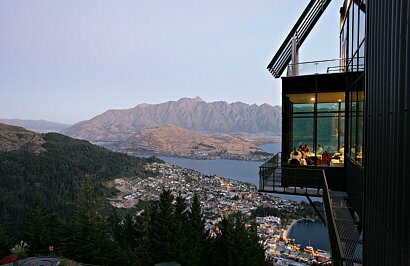 Includes dinner. 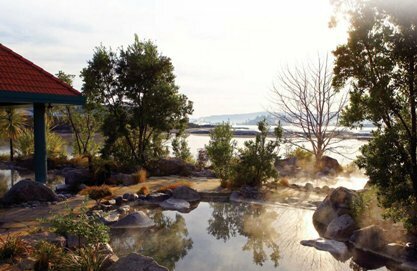 The Sudima Hotel Lake Rotorua enjoys a location that is second-to-none on the very shores of beautiful Lake Rotorua, adjacent to the world famous Polynesian Spa complex and just a short stroll to all the attractions in Rotorua. 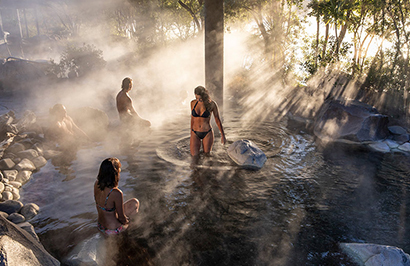 Rotorua's Polynesian Spa offers a unique thermal spa experience on the shore of Lake Rotorua. 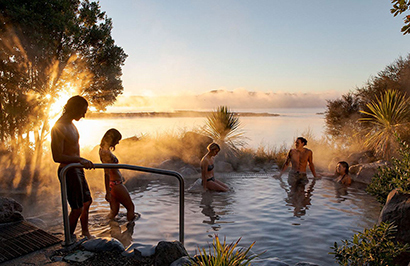 You'll enjoy tranquil bathing and lake views in four shallow alkaline rock pools, each with different temperatures (36˚C to 42˚C). 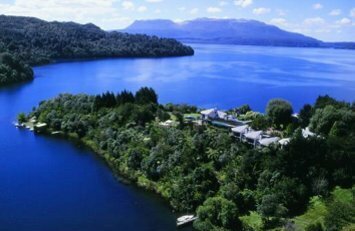 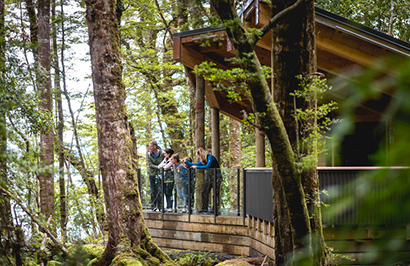 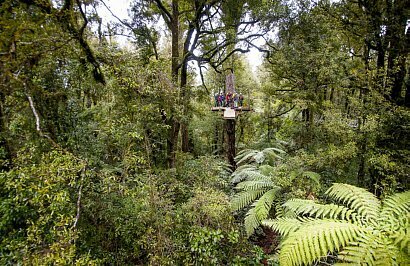 Here you are surrounded by revitalising native New Zealand flora, natural rocks, the sound of two waterfalls and a grotto. 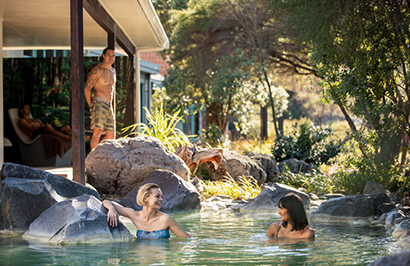 The pools are filled with soothing alkaline mineral water leaving your skin soft and supple. 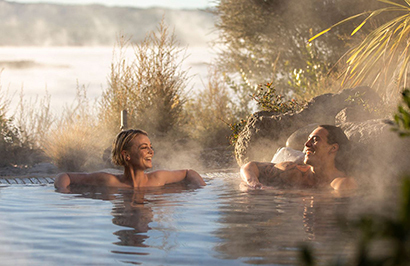 Relax in the outdoor relaxation area overlooking the four hot mineral pools and Lake Rotorua, here you can further unwind on the five geothermally heated recliners set in the stunning backdrop of New Zealand's lush and natural greenery. 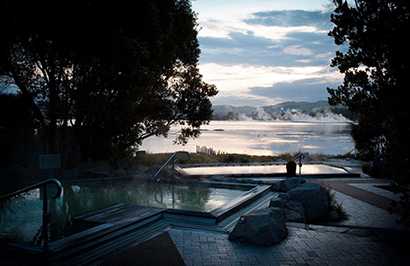 A large indoor relaxation lounge also overlooks Lake Rotorua, where as a Lake Spa guest, you are welcome to move from the pools to the lounge once dried off and return to bathe in the Lake Spa pools as you wish. 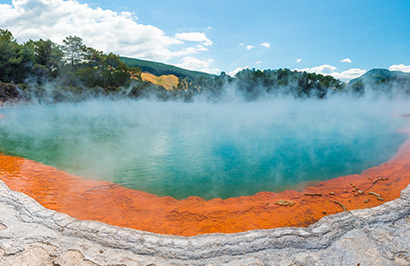 The Lake Spa is a unique thermal pool environment, where the atmosphere changes from day to night, and from winter steam to summer sparkle. 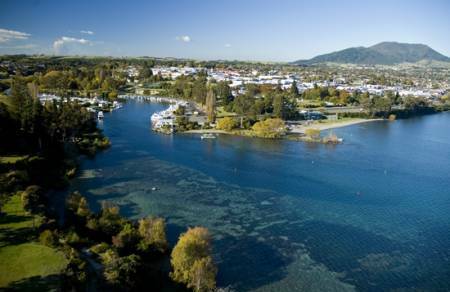 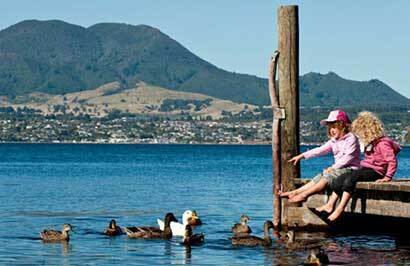 Your coach journey from Rotorua to Wellington takes you via the township of Taupō and New Zealand's largest lake. 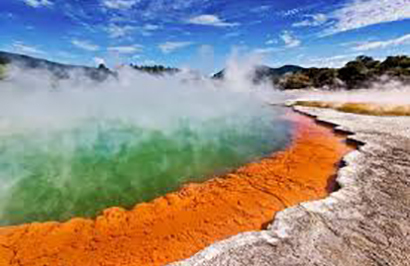 The lake itself is actually a gigantic volcanic caldera formed during one of the worlds largest ever eruptions. 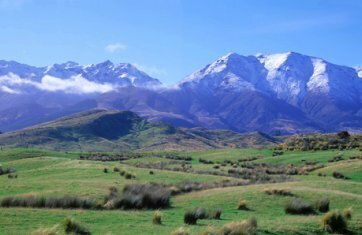 Skirting Tongariro National Park, one of New Zealand's three world heritage sites and clouds permitting you can see the 2,500 metre peak of the still volcanically active Mt. 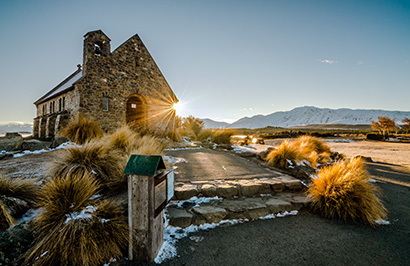 Ruapehu. 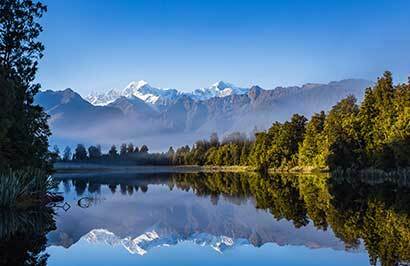 You might recognise the symmetrical shape of Mt. 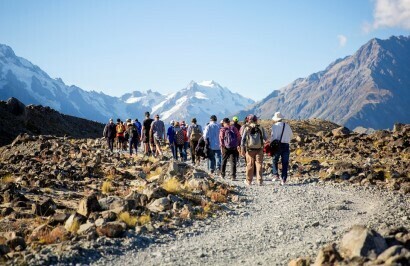 Ngauruhoe as this was used as the scenery of Mt. 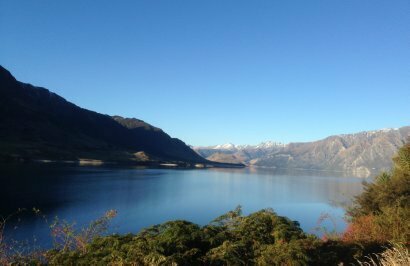 Doom in the Lord of the Rings Trilogy. 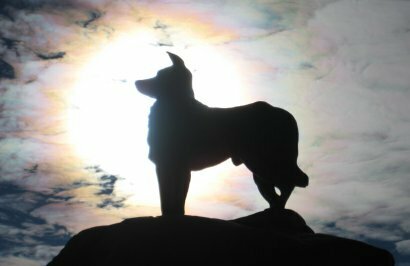 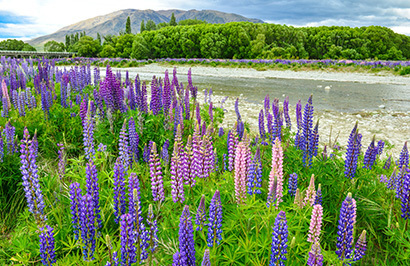 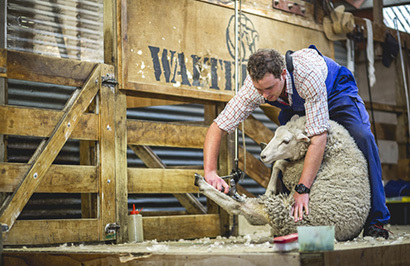 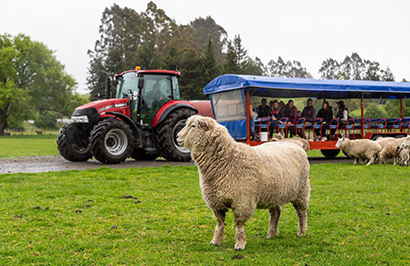 Heading south you pass through the rural towns of Taihape, Mangaweka and Bulls before arriving on the Kapiti Coast, with its coastal seaside towns of Paraparaumu, Paekakariki and Plimmerton. 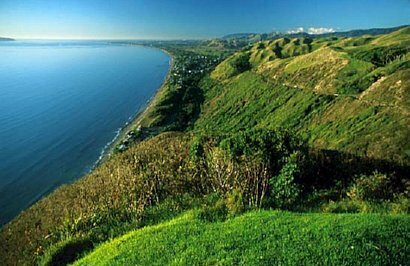 The Kapiti Coast leads into Wellington, New Zealand's capital. 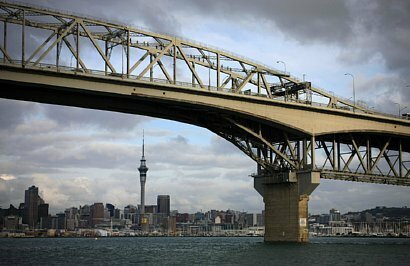 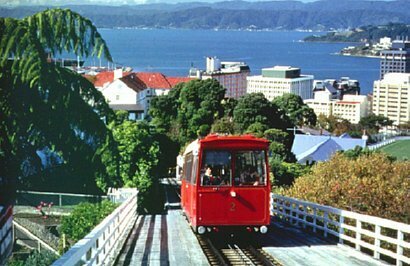 Wellington sits on a wonderful deep natural harbour and is surrounded by bush clad hills. 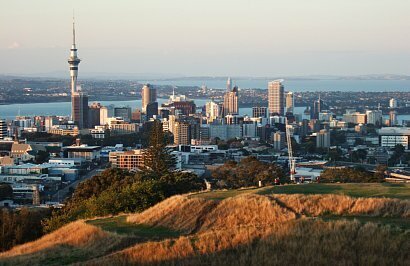 The city centre itself is quite compact (only around 1 square kilometre), so exploring on foot is relatively easy. 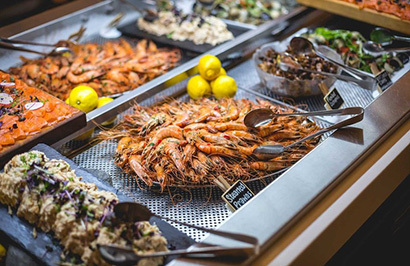 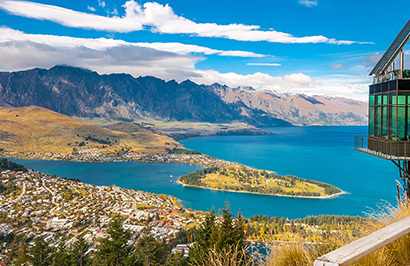 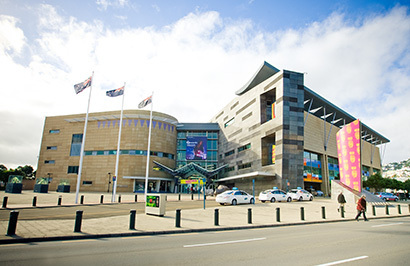 From your city centre accommodation you can easily stroll the cafes and restaurants around Courtenay Place and explore New Zealand's national museum, Te Papa, which is also close by. 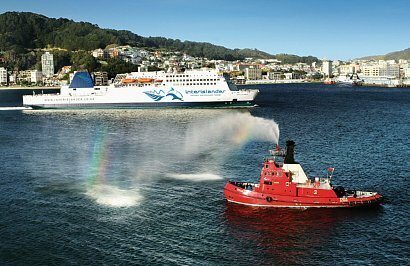 Hotel Ibis Wellington is ideally located in Featherston Street in the heart of Wellington City and easy walking distance to Wellington's famous cafe lifestyle. 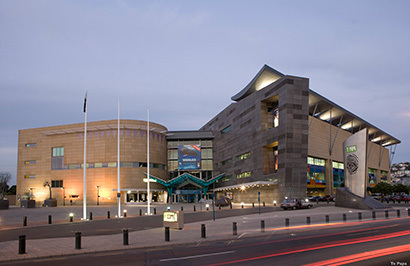 Te Papa means 'our place' and is considered to be the 'museum of New Zealand'. 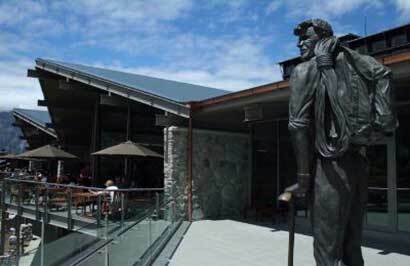 The building opened in 1998 and since then has shown millions of visitors it's fascinating and unique collection of New Zealand's art, history, memorabilia, natural wonders, treasures and stories as well as hosting many international displays. 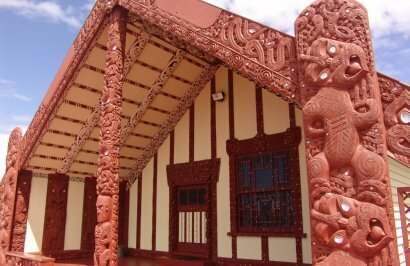 One of the finest collections of Maori artefacts can be found here as well as displays dedicated to the many different cultures that make up New Zealand's current population. 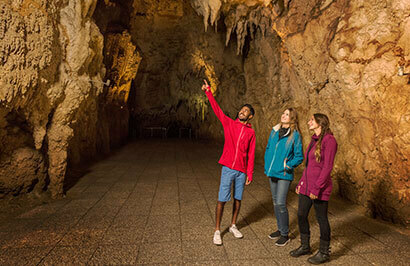 Make sure you allow enough time to explore museums many floors. 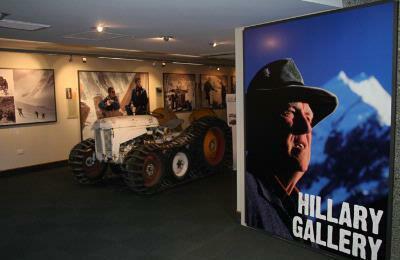 The museum is open 10am to 6pm and is free to visit. 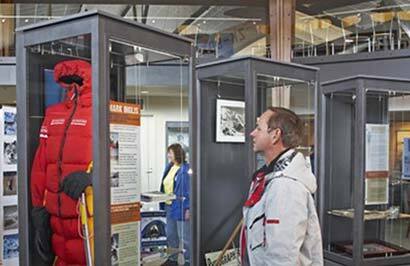 A small fee may be applicable to some short term visiting displays. 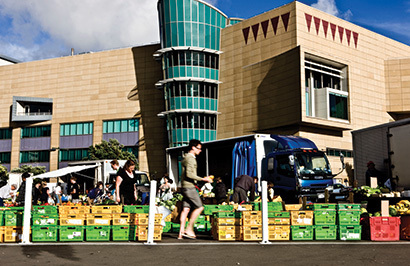 Housed in the iconic Bond Store on Wellington’s waterfront, the Museum of Wellington is dedicated to the preservation and study of Wellington’s rich social and cultural history. 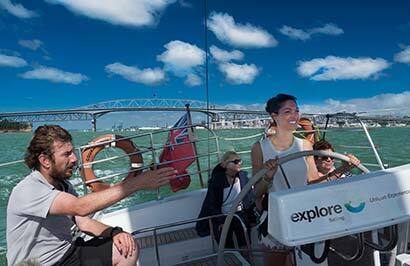 It provides a backdrop for the permanent display of the people and events that have made Wellington what it is today. 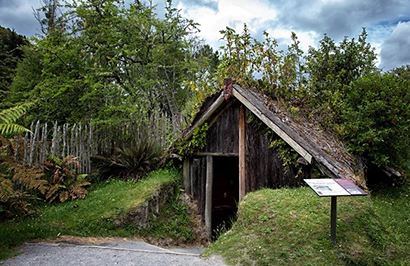 The Museum’s atmosphere is thick with history. 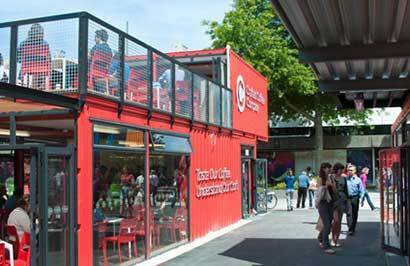 The Bond Store dates back to 1892, when it was a cargo warehouse and head office of the Harbour Board. 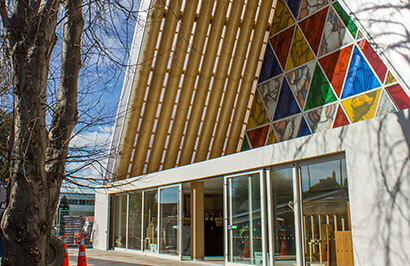 Careful restoration has preserved the building’s striking facade, as well as solid timber beams and the original flooring inside. 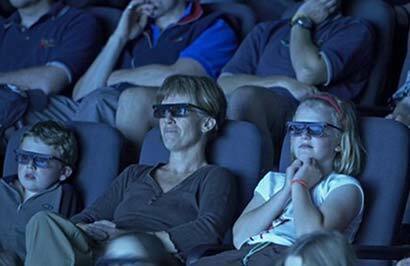 The latest technology is used to further stimulate your senses. 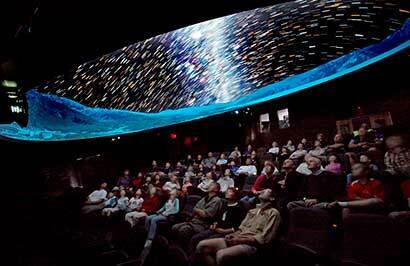 Traditional displays sit alongside interactive exhibits, holographs and a giant cinema screen that stretches the length and breadth of an entire wall, a feature unique in Australasia. 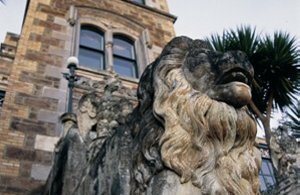 The collection includes over 95,000 items. 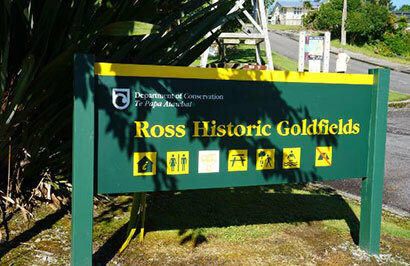 Open 10am to 5pm entry is free. 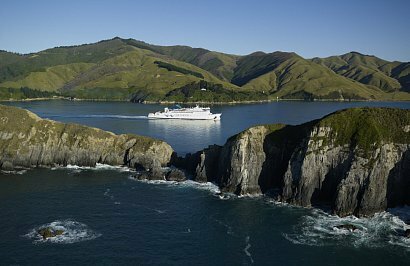 You will be collected from your hotel and transferred to the Interislander ferry terminal in time for your ferry check in. 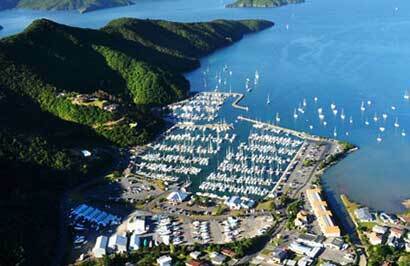 You will be met at the Picton Ferry Terminal and transferred to your Picton accommodation. 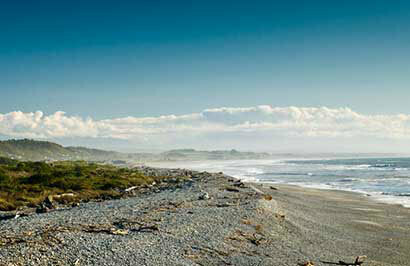 The Beachcomber Inn enjoys a sunny central location near the waters edge along the waterfront. 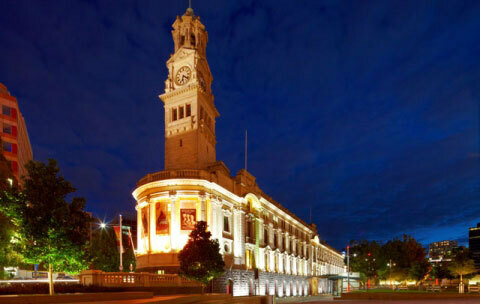 Close to the busy town centre this hotel is in an enviable position. 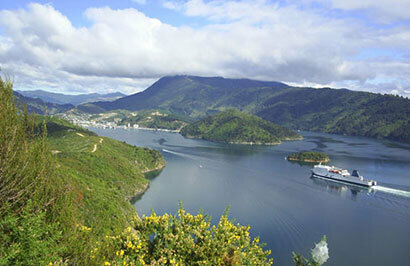 You will be collected from your Picton accommodation and transferred to the Picton Coach Stop. 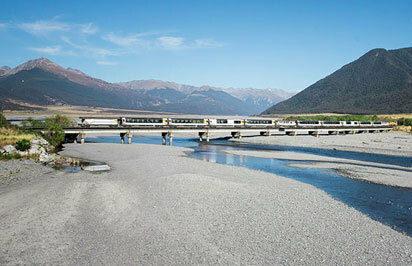 A private transfer will collect you from the coach stop and transfer you to your accommodation. 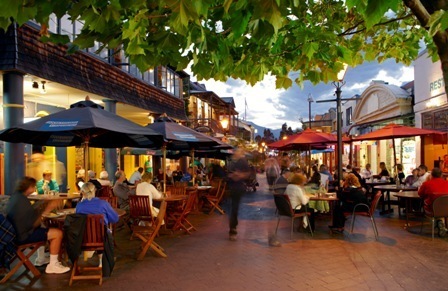 Superbly situated in the very heart of the garden city, Hotel Ibis Christchurch is located just off Cathedral Square, and is close to cafes, restaurants, museums and many of Christchurch's most popular attractions. 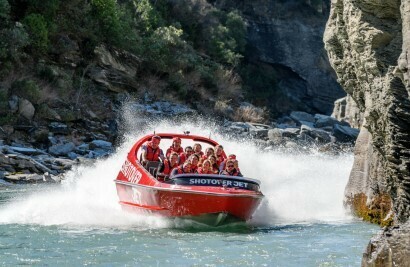 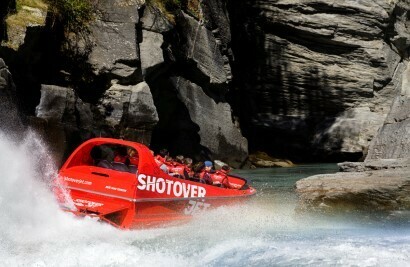 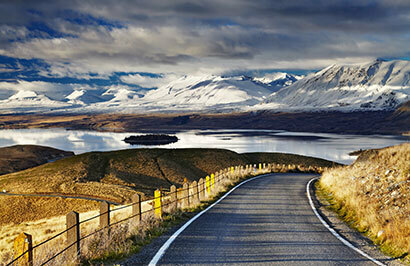 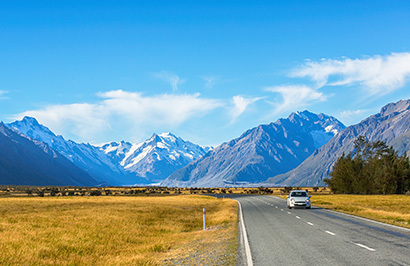 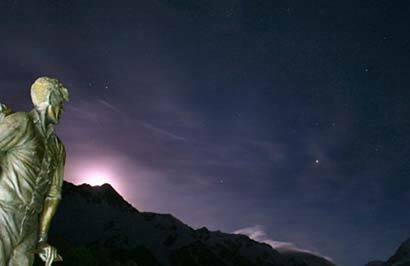 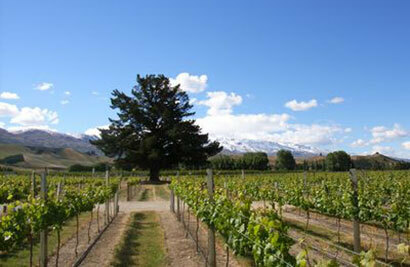 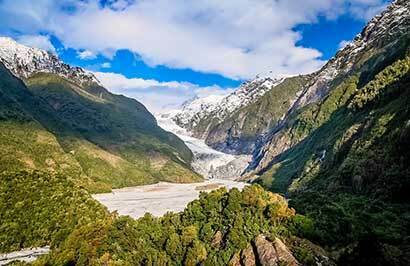 In the afternoon you will be picked up from your accommodation in Mt Cook Village for the journey through to Dunedin. 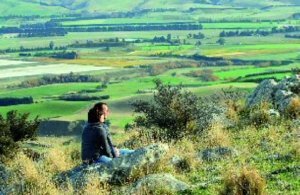 Along the way you stop for a short break in Omarama, then onto Oamaru for a scenic tour of the historic Whitestone Prectinct. 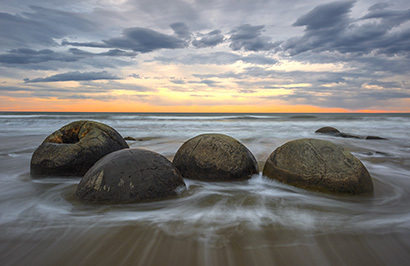 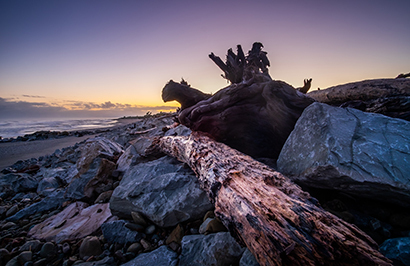 You will then enjoy a guided walk along Koekohe Beach at Moeraki Boulders before reaching Dunedin, where you will be dropped off at your accommodation. 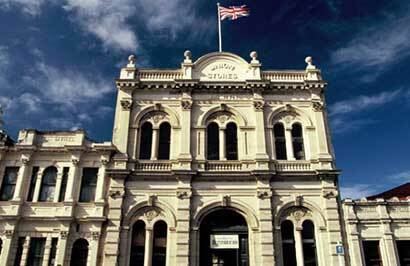 Speights Brewery was founded in 1876 and still occupies its original Dunedin site, with several of its buildings dating back to the late -1800's. 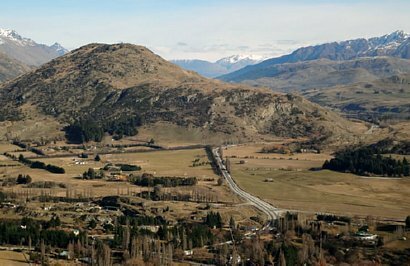 Speights has proudly kept its rich heritage and it is one of the last remaining 'gravity breweries' still operating in the world. 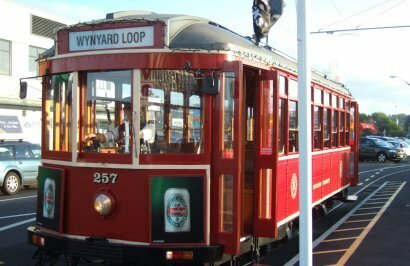 Speight's Gold Medal Ale is the flagship beer made at the historic brewery. 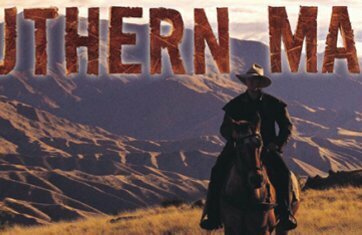 This is the beer that immortalised the Southern Man legend, celebrated in story and song for over 128 years. 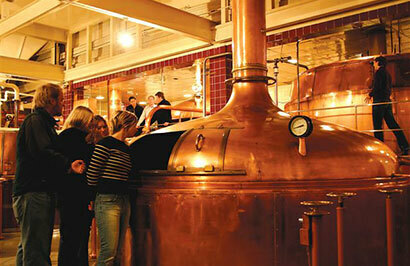 You'll begin with a 90 minute tour of this historic site which also includes a tasting session of six Speights beers. 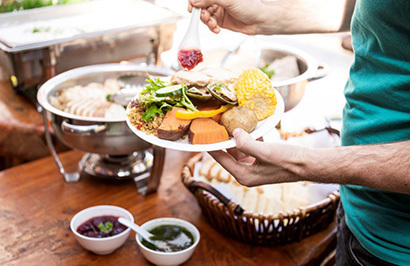 After your tour, sit down to a 2 course dinner at the Alehouse and enjoy the hearty fare of the south. 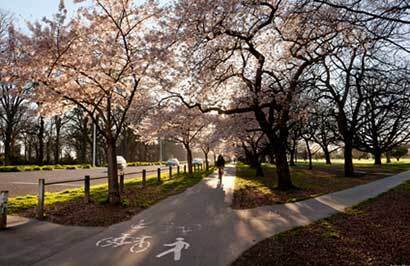 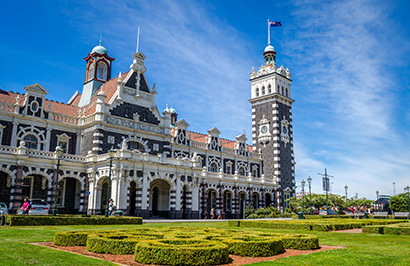 Just two blocks from the Octagon in the heart of the city, Scenic Hotel Dunedin City is close to shops, parks and the best city attractions and services. 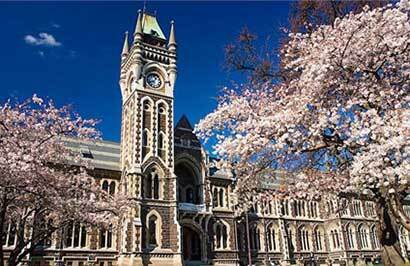 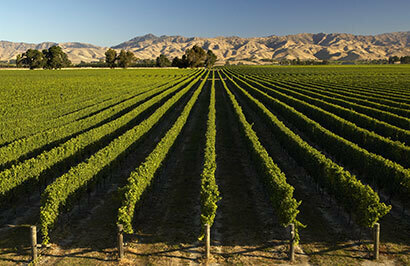 The hotel provides excellent 4-star accommodation to Dunedin's visitors. 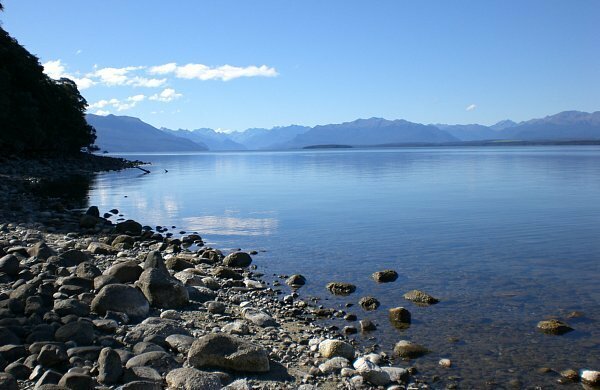 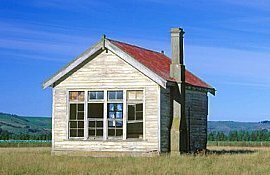 On arrival min Te Anau, you will be met by a representative from Trips and Tramps and transferred to your Te Anau accommodation. 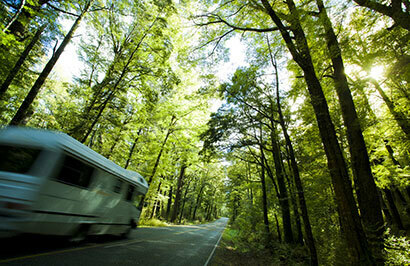 Please advise your driver your transfer is pre-paid. 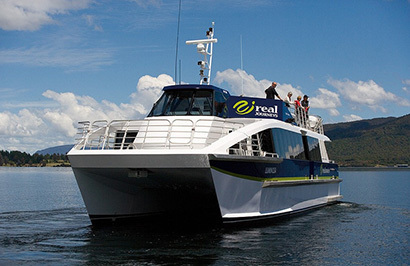 Begin your Te Anau Glowworm experience with a scenic cruise across lake Te Anau on board the luxury catamaran, Luminosa, to the western side of the lake. 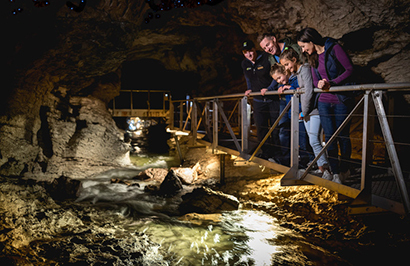 On arrival you'll enter the caves through Cavern House, where informative displays detail the history of this 12,000 year old underground network. 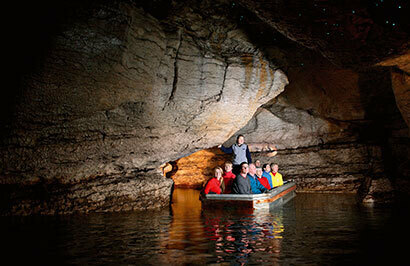 You'll then explore by limestone pathway while your guide points out hidden whirlpools, sculpted rock formations and a rushing underground waterfall. 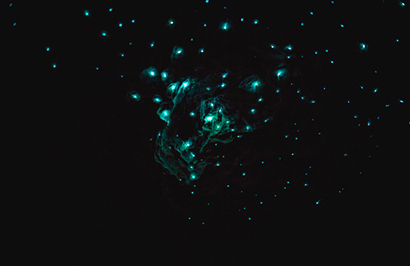 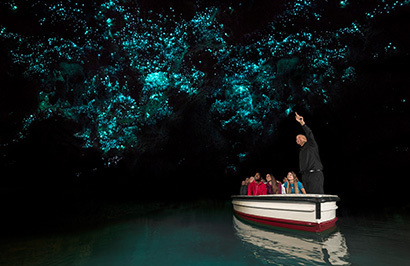 See a magical display of thousands of glowworms as you glide through the darkness in a small boat. 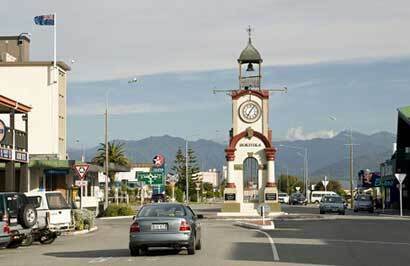 The perfect base for all your Fiordland travel, Distinction Luxmore Hotel provides comfortable accommodation right in the heart of Te Anau. 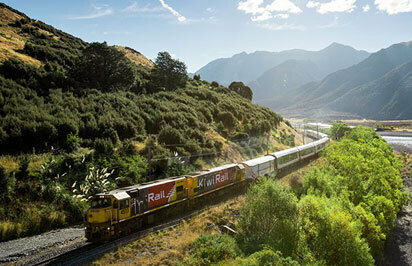 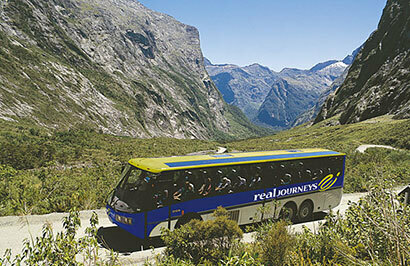 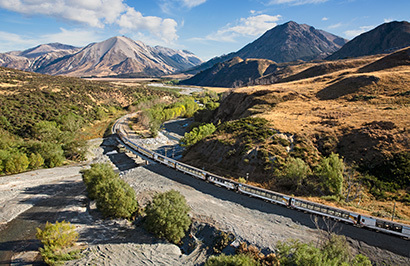 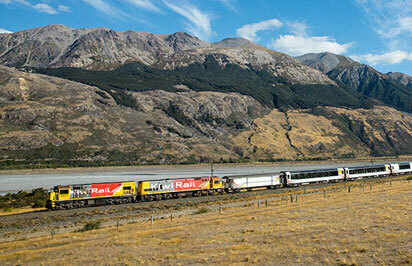 From Te Anau, you travel by coach along the spectacular Milford Road. 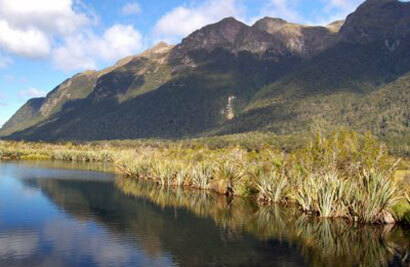 Photo stops are made on the way into Milford, with additional photo stops and a short walk on the return journey. 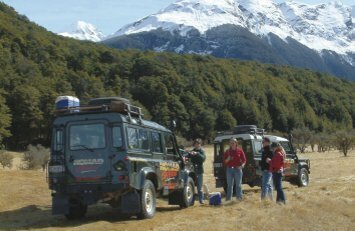 Real Journeys experienced drivers enjoy sharing their knowledge of the area. 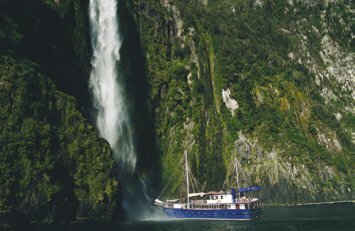 On reaching Milford Sound, you join a Nature Cruise for a leisurely cruise the full-length of Milford Sound to the Tasman Sea. 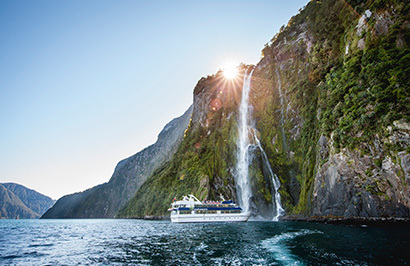 The cruise provides excellent viewing opportunities and plenty of time is available to enjoy waterfalls, rainforest, mountains and wildlife. 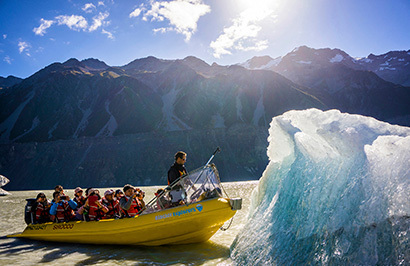 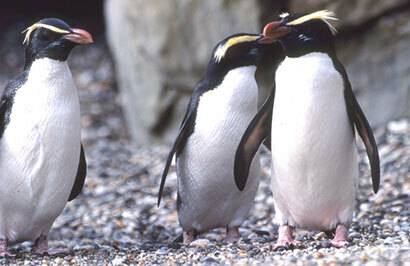 A nature guide provides fascinating interpretation throughout the cruise. 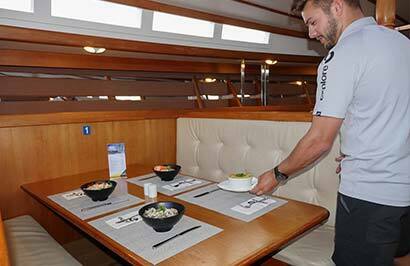 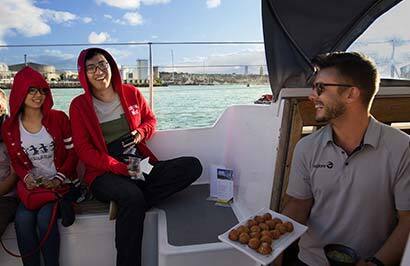 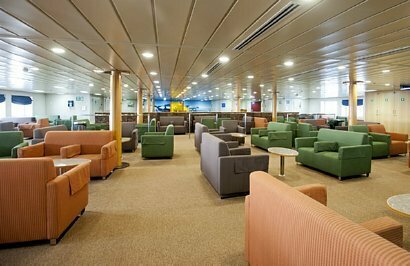 Lunch options and complimentary tea and coffee are available on board the vessel. 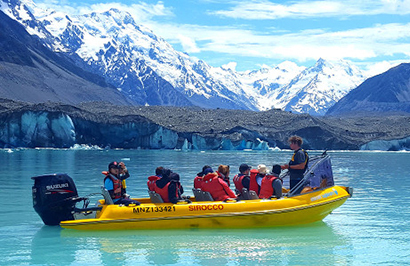 Milford Sound is the best known of the sounds that lie throughout Fiordland National Park and is also the only fiord accessible by road. 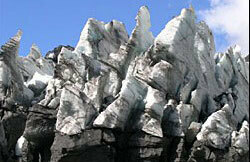 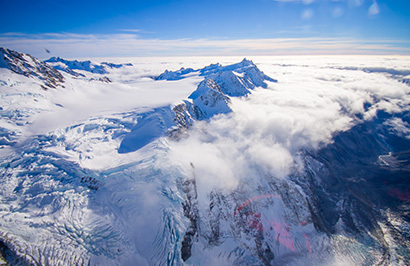 Sheer cliffs starting hundreds of metres below the waters surface rise spectacularly to the sky. 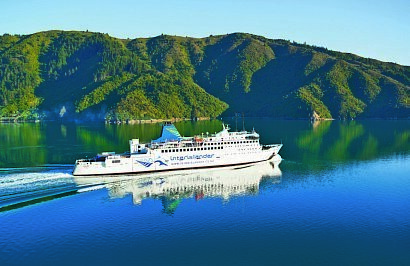 It is 16 kilometres from the head of the fiord to the open sea and Real Journeys cruise ships will take you there and back comfortably in around 2 hours. 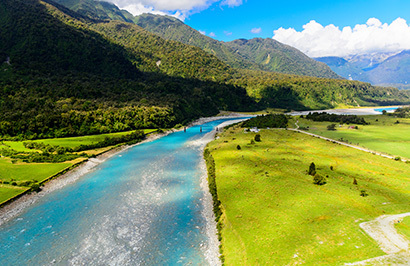 Dolphins and seals can often be seen, and following a large downpour the waterfalls that line the fiords are magnificent, particularly the 146 metre high Stirling Falls. 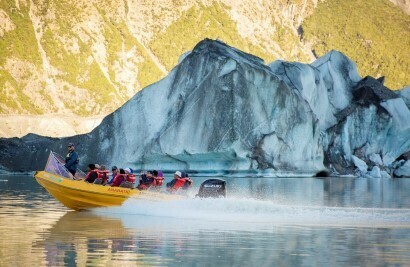 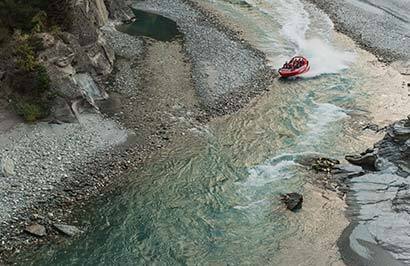 An extended and leisurely cruise of Milford Sound on board a modern vessel, purpose built for operating in a fiord environment. 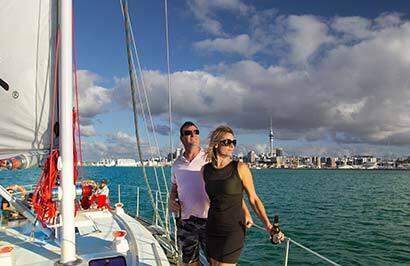 Designed along the lines of a traditional trading scow, they have real character. 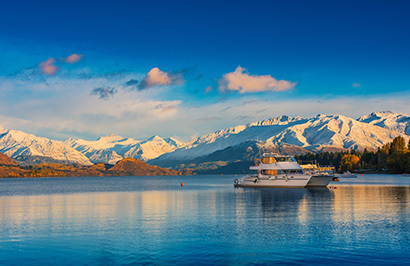 These relaxing cruises have special appeal for the independent traveller and an on board nature guide provides detailed interpretation and commentary. 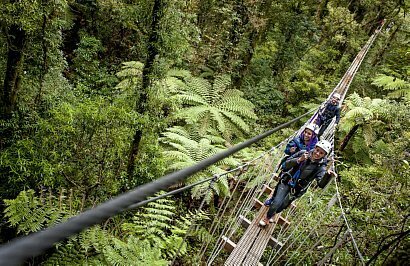 There is plenty of time available to explore points of interest and to view the stunning scenery, including waterfalls, rainforest and the towering peaks. 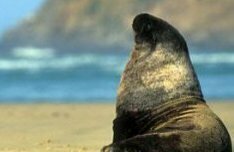 Keep a lookout for dolphins, seals and penguins. 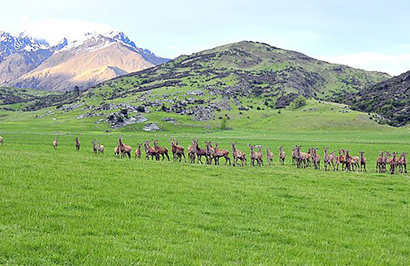 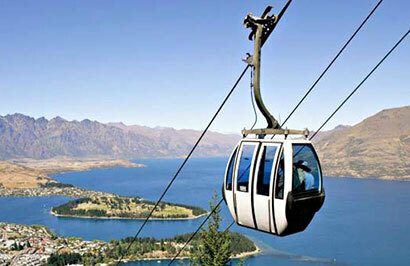 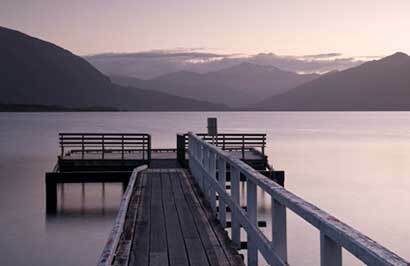 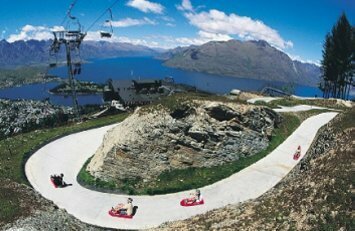 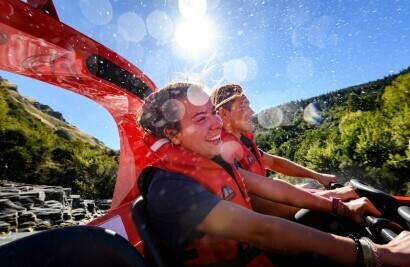 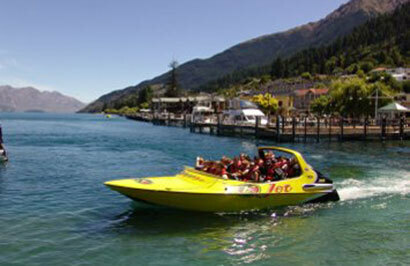 Mercure Resort Queenstown is located near the shores of Lake Wakatipu, only 3 minutes drive from the centre of town. 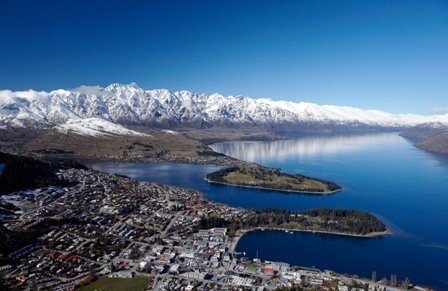 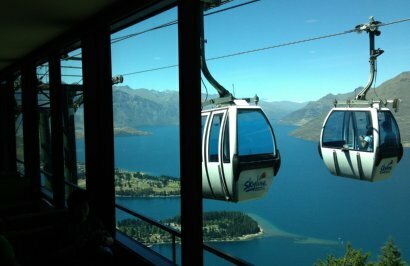 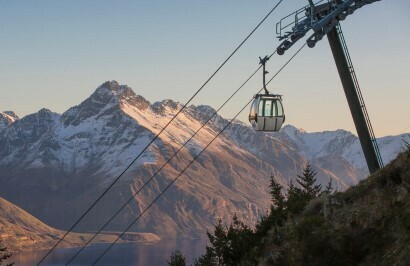 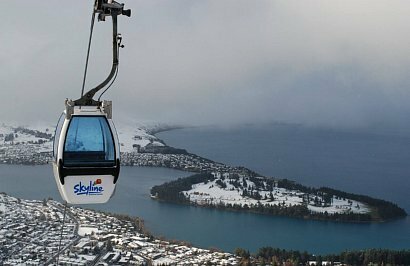 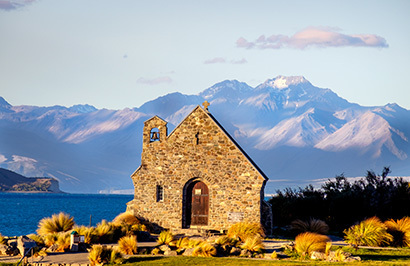 The hotel boasts spectacular views over the lake and the Remarkables Mountain Range.